Yesterday's issue of Environmental Health has an open access article by Shia T. Kent, et al, entitled "Effect of sunlight exposure on cognitive function among depressed and non-depressed participants: a REGARDS cross-sectional study." They looked at sunlight exposure for nearly 17,000 subjects from another depression study to determine if cognitive function was affected by gloomy days. People with major depression were 2-1/2 times more likely to have impaired cognitive function during periods of reduced sunlight than were people without depression, independent of other factors. I saw this first on Health Day. I have a family member who has an infection in his nail. The treatment for the infection is a pill that is taken for 3 months (with some liver function monitoring). It's not a fatal condition. He went to the doctor, got the bloodwork, waited for the results, then got a call from the doctor that he could start the medication and had the doctor call in the prescription to the pharmacy (CVS) next to his work. The pharmacy told him the medicine requires preauthorization. Even though there is not an alternative medication. The pharmacy called the doctor. The doctor filled out the preauthorization form. The form was sent in and it was rejected. The doctor called to say it was rejected and she didn't know why or what to do. She said the medicine is available at Walmart for $4 and offered to call it in there. She waited while the number for Walmart was located. She phoned the medicine in. She called back to say it was done. My family member didn't get the medicine at the pharmacy next to his office (where it cost $70 as cash, but likely has a negotiated lower cost to the insurance company plus his cash co-pay) and instead he drove 20 minutes each way to Walmart to pick up his $4 medication. The insurance company then spent the money on a 2 page personal letter and a stamp to inform him he wasn't preauthorized because the physician did not document that the condition was painful or uncomfortable and did not document that over-the-counter topical medications had been tried (they haven't been, but note, they take months to try and are known to be ineffective). The infection looks groddy, will not get better without treatment, and can spread, so treatment seems reasonable to me. There are no less expensive prescription treatments for this conditions and essentially no other options. 40 minutes of driving by an executive with a top notch private health plan. And the $4 prescription was had. And we'll guess this amount of rigamarole saved the insurance company money by essentially bullying him into paying cash elsewhere rather than asking the doctor to fill out an appeal form and fax in "supporting documentation" for the appeal. How much did they save for the 3 months of medication they denied? Well $12 if they bought their meds at Walmart. If the insurance company actually paid the top cash price minus the copays, they saved an absolute max of $165 for 3 months at $70 (so $210) minus the $15 generic copays. My guess is it was somewhere inbetween, so was it worth it in terms of doctor time, pharmacist time, care manager time at express scripts, secretarial time for the appeal letter, mail carrier time, gas, and an hour of some busy's guy's life spent running around to get a script he could have gotten on his way back from lunch? I don't have the answers, but I do know our system is broken. Many say it's broken only for the certain people....and really my family member got his medicine, and if the story got any more complicated, he would have just paid the $70, it's just the idea that they throw you through all these hoops because they can. Can Black Box Warnings Kill? I'm going to write about a story I saw on-line about a depressed mother who poisoned her small child. It's a terribly tragic story, and please keep in mind that I only know what I read in the article Here, and I've never examined anyone involved. The question being asked at the trial is that of whether the mother, who was depressed, was legally sane and knew it was wrong to kill her child, and that's not what I'm going to write about. I didn't pick a graphic to go with this blog post, because I couldn't think of any photo that would be appropriate to such an angst-ridden topic. They said Sparrow told a nurse practitioner she was considering using sedatives to kill herself, her daughter and her dog, but that medical professional did not contact the authorities or otherwise try to get Sparrow committed to a psychiatric hospital. I was struck by two things in the recounting of the story as I read it: that both the patient and the nurse practitioner thought her suicidal thoughts came from the Prozac (and both, perhaps, trusted they would stop with the cessation of the medicine--- obviously I don't know that's what they thought, but it's implied in this particular recounting of the story), and that a homicidal mother was apparently allowed to leave a clinic without being evaluated by a psychiatrist, I think. So my comments are general, because I don't trust a press account to be all-inclusive, and perhaps things transpired that didn't make it in to print. When Prozac first came on the market, there were some concerns that it made people suicidal, and these concerns were dismissed. With years (oh, more than a decade) researchers revisited this idea and concluded that people under the age of 26 have a low incidence (1-2%) of violent thoughts caused by anti-depressants, and so we have the Black Box Warning about such thoughts. Does all the publicity about how the possibility of suicidal thoughts can arise from the medications narrow peoples' thinking? If we think a medication has caused a suicidal idea, does this prevent people from exploring other options? Perhaps the medication isn't working, or perhaps the depression has gotten worse and has broken through. Perhaps something else has transpired that increases risk. And if the medication is the culprit, what do we know about how long one has to be off it before such violent thoughts stop and the risk is gone? I think the answer is that we don't know. I don't know if the woman described above saw a doctor the day she was in the clinic, or what exactly she said to the nurse practitioner. I don't know if the outcome would have been any different if she'd been committed to a psychiatric facility. What I do know is that when any story has a tragic ending, it's hard to wonder if more couldn't have been done. We pass so-called scope-of-practice laws--- should psychologists prescribe? Should nurse-practitioners practice essentially independently? The fuss goes into the legislative battles before-the-fact, one fought primarily by legislators and lobbyists, not clinicians. We don't generally look backwards and ask if poor outcomes are more more likely to occur in settings where we've dropped our standards and we don't seem to ever ask if we should revoke those decisions. I'm not saying we should--- but perhaps we should ask more questions. Please forgive the flip title, I just couldn't resist. 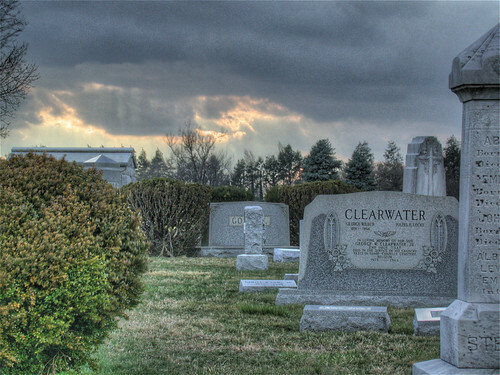 This article caught my eye: Home Burials Offer An Intimate Alternative. So it's an op-ed piece in the New York Times called The Meaning of Life and Roger Cohen speculates on all sorts of things in a monkey's world: food and deprivation, happiness and longevity, caloric deprivation and bitterness, and quality versus quantity of life. It's an Op-Ed piece, it's not a scientific study, though Mr. Cohen is pretty certain that the calorie-deprived monkeys in the study who lived longer were not the happy ones. There's Owen the well-fed primate and Canto who's I don't usually like speculation-- can we give the Monkey an MDI (Monkey Depression Inventory: Roy get on it!)? Well-fed Owen, by contrast, is a happy camper with a wry smile, every inch the laid-back simian, plump, eyes twinkling, full mouth relaxed, skin glowing, exuding wisdom as if he’s just read Kierkegaard and concluded that “Life must be lived forward, but can only be understood backward.”"
"My mother died of cancer at 69. Her father lived to 98, her mother to 104. I said my mother died of cancer. But that’s not true. She was bipolar and depression devastated her. What took her life was misery. We don’t understand what the mind secretes. The process of aging remains full of enigma. But I’d bet on jovial Owen outliving wretched Canto." 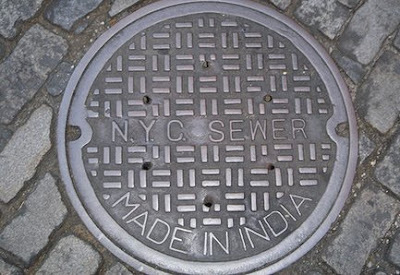 Texting Teen Falls Down Manhole. Fortunately, she got out unhurt, but the family is suing, citing the "gross factor." 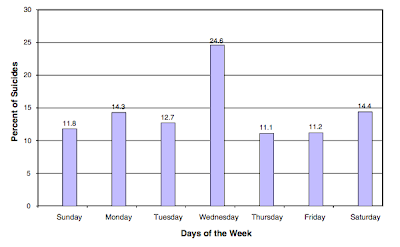 In the recent issue of Soc Psychiat Epidemiol, authors Augustine Kposowa and Stephanie D'Auria from the University of California review U.S. death certificate data from 2000-2004, and find that suicides are twice as likely to occur on a Wednesday than on a Sunday. No clear reasons why, but it is tempting to speculate. They also replicated previous findings that Spring and Summer are more deadly than Autumn and Winter, whites are at higher risk than minorities, and that men are three times more likely to die of suicide than women. I looked up the origin of the word Wednesday (from Woden's Day). Woden was an Anglo-Saxon god, thought to be the entity responsible for carrying off the deceased's soul to the next plane. (See also Dead Like Me). The full-text article is available as open access here. 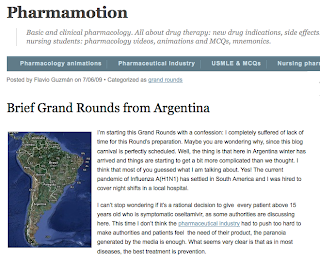 When Dr Guzman is not handling H1N1 in Argentina, he tries to get out the occasional Grand Rounds, and this is it. Some good links to posts on nurses, first-year residents (it IS July, you know), the Lantus-cancer issue, and our health care "system." When I was in medical school, there were these medications that were used to treat hallucinations and delusions (what we psychiatrists call "psychosis") and sometimes extreme agitation. They were the neuroleptics, and they worked: medicines like thorazine, and haldol, and mellaril, and navane. Oh, and like prolixin, too. They worked, but they came with a horrible stigma and lousy side effects. Some people tolerated them with no problems, some people even preferred how they felt when they were on them, but a lot of people found them to be pretty awful. Some made patients very tired -- this is why they are also referred to as major tranquilizers. Others were less sedating, but they made people very stiff: a side effect called Parkinsonism because they chemically gave people a temporary state similar to Parkinsons' Disease. You can sometimes look at someone and know they are on medication, and this is never good. And sometimes they caused a permanent, irreversible movement disorder called Tardive Dyskinesia. Okay, so people really don't like taking these medications, and sometimes they can be fine-tuned with other medications to halt the side effects, but they come with a price. By the time I was a resident, the new generation of antipsychotics had come along. Risperdal, Zyprexa, Geodon, Abilify, Seroquel, Invega, the list marches on. These medications also worked and people didn't mind taking them (...okay, some people didn't mind taking them). They are also used for mood stabilization, to calm agitated states, for mania, as augmentation for depression, and sometimes for sleep. They aren't addictive, they aren't as stigmatized, and the immediate side effects aren't so troublesome. It's much easier to get patients to consider taking them and my experience is that in the short run, they help a lot of people feel better and function better. The down side has been that in some people they cause weight gain, diabetes, and hypercholesterolemia/hyperlipidemia. We don't seem to know who will have these problems (clearly, not every one does) and sometimes people are so sick without them that we're stuck fixing one disease while contributing to, or causing, another, and that needs treatment, too. And did I mention that these medications cost a fortune. If that's not enough, we have to order regular blood tests to monitor for the problems they cause, and patients may need more and expensive medications to treat the conditions the medicines cause. So how much does it cost to stay sane? The state of Maryland, apparently, spends $80 million a year for atypical antipsychotics (these newer medications) for patients with Medicaid, and I suppose for uninsured patients in the hospital. This doesn't count the patients who self-pay, or have private insurance, or who get samples from their doctor, or who have Medicare. So the cost of keeping my state sane is pretty high. So far, only one of these medications, risperidone, is available in a generic. Hmmm, so there's a $3/pill differential for Abilify, depending on where you get it? Oh, and I wondered about the generic risperidone--- $203 at CVS and $46.50 at a local independent pharmacy? I asked the pharmacist to check it twice, and then I called a second mom & pop pharmacy, and their price was just under $40. If you pay cash, it's worth shopping around. Are these the prices your insurance company pays? I doubt it-- they negotiate deals and have formularies. I asked how much the state pays for the medications for a patient with Medicaid, and none of the pharmacists I asked could tell me...one said it was top secret. Okay. One note on Haldol, the older generation medication-- I'm not sure if the $28 price was for generic or name brand, the others were all for the generic. Dr. Daniel Carlat has his own psychiatry blog and he wants to talk about what's going to happen with the new Diagnostic and Statistical Manual (DSM-V). Funny they call it a statistical manual when there are no statistics (there are diagnoses!). The article starts by talking about the fact that there are three Major League Baseball players on the Disabled List (the D-L) for anxiety. It goes on to talk about 'butterflies' and golfers' 'yips.' It names some professional athletes who've suffered from other mental health issues, and there is talk of pitchers who suddenly couldn't throw. The players, apparently, have access to a counselor. What don't I like about the article? Somehow, I read it and had the flavor that these players are disabled by anxiety from the stress of their profession and the performance demands...the article ends with a psychologist being quoted as saying that anxiety is normal. My best guess...and I don't know these players and have never examined them....is that there is more to it than stage fright, or the pressure of the biz. When you're getting paid what these guys get, I don't think they let you bow out and go on the D-L because you're job's too much and you get butterflies in front of the crowd. By the time you're on the D-L, the mental health issue is probably quite disabling, and not the normal or expectable anxiety that goes along with jitters and yips. And I can't imagine that professional sportsmen are any less vulnerable than the rest of the population to mental health issues. Clutter Free Reality TV and My Fantasies. Patients have been talking about a TV show I'd never heard of: Clean House. It's a reality TV show where they come in and help the clutter bugs get rid of their stuff. I've never watched it (obviously). This is entertainment? My patients say they watch it then go throw some of their stuff out. Entertaining and therapeutic. It's funny (as in kind-of-ironic, not ha ha), but people spend a lot of time in therapy talking about their clutter and the piles of paper they can't part with. I suggest bonfires, but hey. So I started thinking about this whole reality TV show concept, and the fact that I'm writing about psychotherapy (now done with 2500 words of What Is Psychotherapy). I had this fantasy about having a real life therapy podcast. Roy once talked about how there was bound to be a reality therapy TV show. Couldn't I do a start-to-finish psychotherapy podcast and put it on iTunes? I've got the microphones, and I could probably get Roy to teach me how to use all these gadgets. It might be interesting, it might be something people could use to teach (Gosh, that therapist says dumb things!) or it could be really boring. How does one logistically recruit a patient for such thing? Is it ethical (hmmm...) to offer free psychotherapy in exchange for allowing it to be broadcast on the internet? Could anyone relax and be themselves? What if it got up close and personal and the patient wanted out? Obviously, you stop, but then what becomes of the therapy? Funny, they didn't deal with these issues in medical school. Okay, it's not happening. It was just a fantasy. I'm going to clean out my closet now. For real. When the Shrink Needs a Shrink. Somehow I missed this one, and Meg was kind enough to send it along. But no amount of wisdom prevents personal frailty. You are never too old for your own problems. Yet when you are the professional others go to, where do you bring your sorrows and secret pain? Often, though, the situation is not straightforward, and medication is not the problem. Life is. Maybe we are overcome, maybe ashamed, maybe despairing. Self-revelation — the nakedness necessary in therapy — is hard when you have been a model to others. “In my situation, it would be difficult to find someone,” Dr. Dan Buie, a beloved senior analyst in Boston, told me. It is not that psychiatrists aren’t waiting in wing chairs all over the city. It is that so many of them are former students and former patients. One generation of psychiatrists grows the next through teaching and treatment. Surrendering that professional identity to become a patient reverses a kind of natural order. “You can’t be a simple patient,” Dr. Buie said. “Anyone I’d go to, I’ve known.” To avoid it, some travel to other cities for therapy (probably passing colleagues in trains heading in the other direction). Dr. Ely goes on to talk about how some psychiatrists may have a preference for therapists who are older and wiser, that there is comfort to seeing someone who's been there before and who may have gained insights. Is this true for everyone? When I started at this, nearly all my patients were older than I am, and still, many people I see have children my age. They aren't psychiatrists, though. I liked the piece. I've just started on the psychotherapy section for our book, and I'm struggling. I've been working on the concept that some people seek care for insight and education (as opposed to for treatment of symptoms) and it's not easy forming my ideas.